* Now that colder weather is approaching, protect half-hardy plants with fleece or bring into a frost-free greenhouse. * Plant daffodil bulbs, tulip bulbs and Allium bulbs for a glorious spring display. Dot them through borders or naturalise them in grass. Click here for more information on planting spring bulbs. * October is the ideal time to plant Clematis plants, move trees, shrubs, and plant hedges. * Prune climbing roses and rambling roses once they've finished flowering and tie in the stems before autumn winds cause damage. * Clear up fallen rose leaves to prevent diseases such as black spot from over-wintering - don't compost the leaves. * Clear overhanging plants away from pathways to maintain access routes throughout the garden. * After tidying borders, mulch with bark chips, well rotted manure, leaf mould or spent mushroom compost to insulate plant roots for the winter and keep weed growth in check. * Make time to give evergreen hedges a final trim before the bad weather sets in, so they look neat and tidy for the winter. * Once plants are dormant, it is a good time to lift and relocate any plant that you want to move. 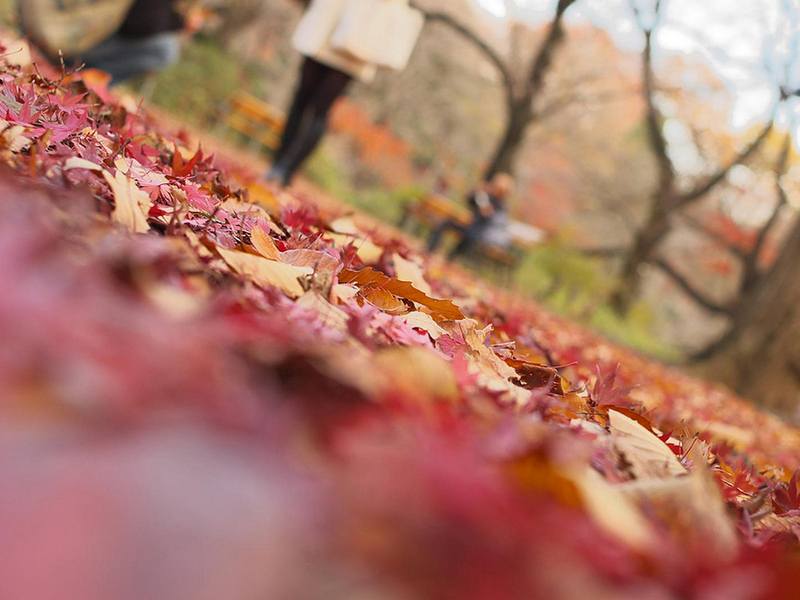 * Clear up fallen leaves regularly to allow light to the grass. * A last mowing can be made this month before leaving your lawn for the winter. * Recut any lawn edges if needed. Try installing lawn edging to make future maintenance easier. * Finish off essential lawn maintenance to avoid water logging and compaction over winter. Try aerating your lawn with a garden fork, raking thatch from the surface and repairing dead patches. * Fresh turf can still be laid now. Autumn rains should ensure the turf settles successfully. * Collect leaves up for making leaf mould as a soil conditioner. Oak, Alder and Hornbeam will rot down in a year but beech, sycamore, horse chestnut and sweet chestnut will take a couple of years to compost. * Sweep up debris and fallen leaves that harbour overwintering fungal spores and hiding places for slugs and snails. * Start preparing a bonfire with twigs and prunings - cover them with plastic so they remain dry for better burning later. * Net ponds to prevent leaves falling into them. If you need to clear pond weed lay it next to the pond for a day to allow wildlife to escape back to the water. * Clean out water butts and let the autumn rains refill them. Install a new waterbutt ready for next year. * If the soil is dry, give your garden one last good watering before the ground freezes. * Use the last of the dry weather to paint sheds and fences with preservative before the winter arrives. * Raise pots off the ground for the winter by using bricks or 'pot feet', to prevent waterlogging.